And - I've just realised why the French moved over when I was driving along in my blue bus last year! that first bx in blue is a lovely colour, something about the bumpers, looking good. I'd have that one. I really like the straight no frills shape of the mk1 BX but sometimes i think the mk1 indicators can make it look a bit too Lego. I like that Red one on the trailer too - a 19TZS? love those wheel trims - same on my TZD, but on the no frills, no spoiler hatchback. 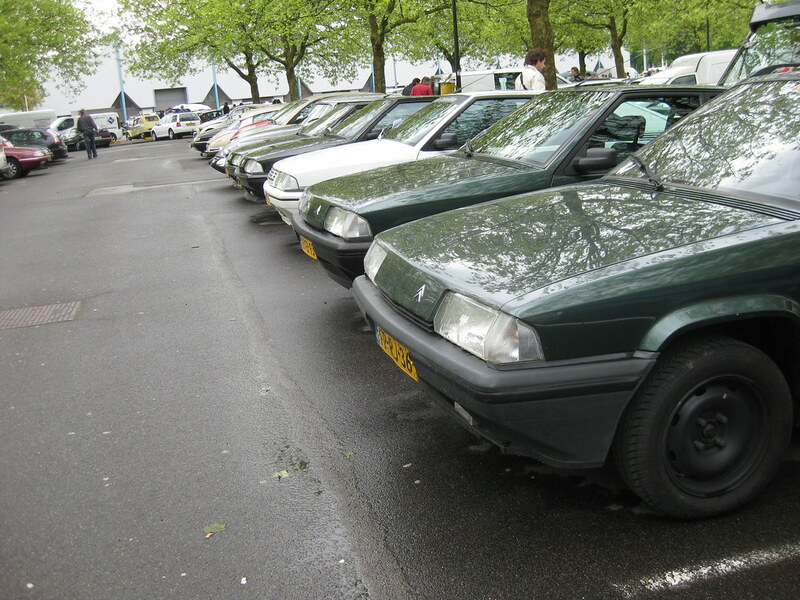 Something about the spoiler on hatchback TZDs / GTis i think disrupts the lines of the original BX design. There you go, i've said it, i know many will disagree but we all have differently twisted minds. OOOff What beauties! I had a good long chat with Jon Self who went in his GS, that lovely Red 16TRS in that picture has been completely rebuilt and is like new he said, that would be my ideal Mk1 (if it was an auto) as oddly enough Im not fan of hearing aid beige or the GT dials, talking of GT Jon saw a lovely example and got chatting to the owner at the show with a 1.9TD engine and autobox from a Xantia fitted into his after the original engine expired. The red TZ hatch on the trailer must beone of the last of its kind, where they dropped the 3/4 window for the last few months of production, something I didnt know until last week (thanks Jayboy). Yes, it was very nice there! The green FB-FB-93 BX is mine.